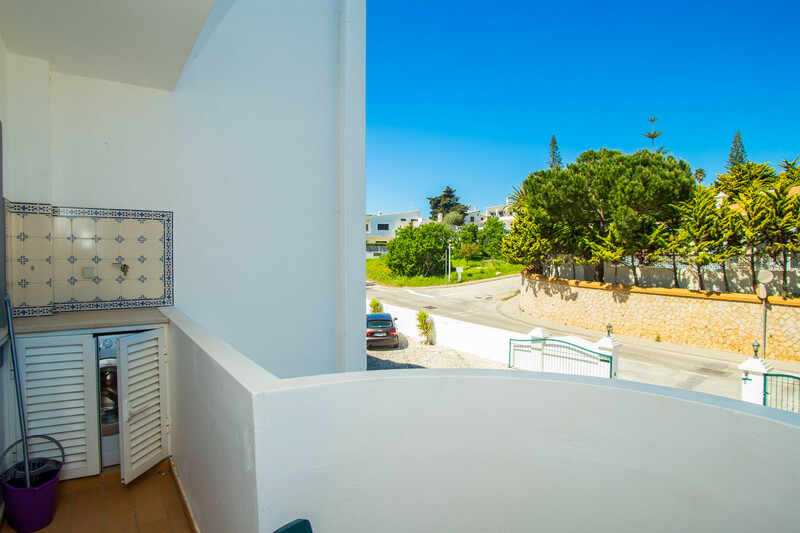 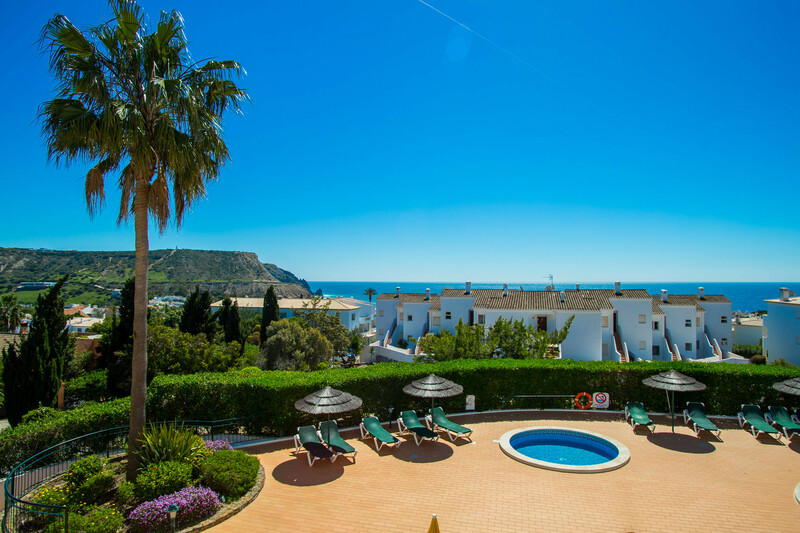 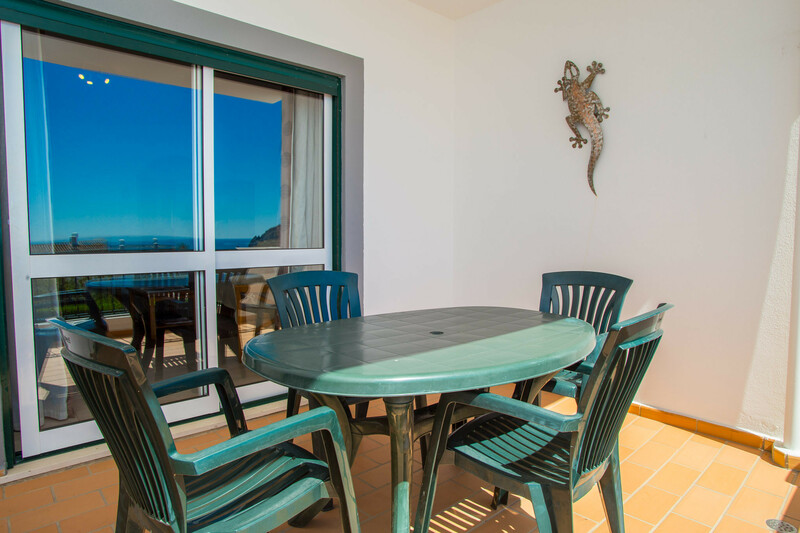 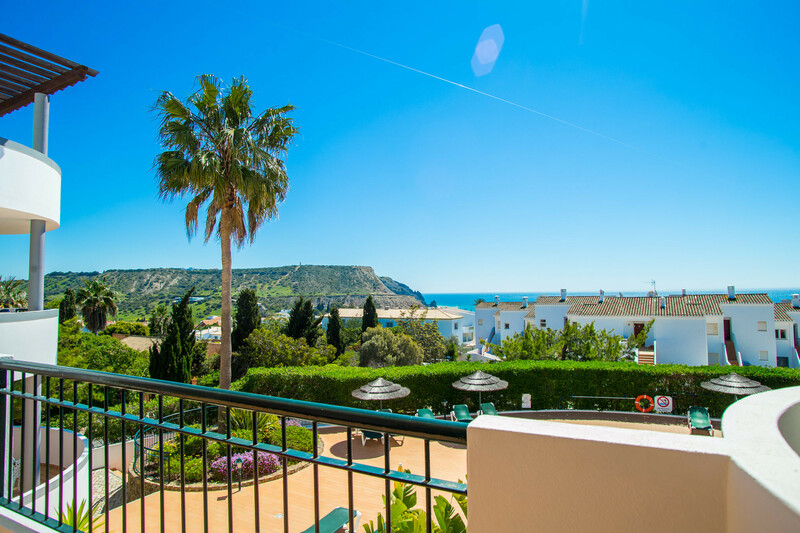 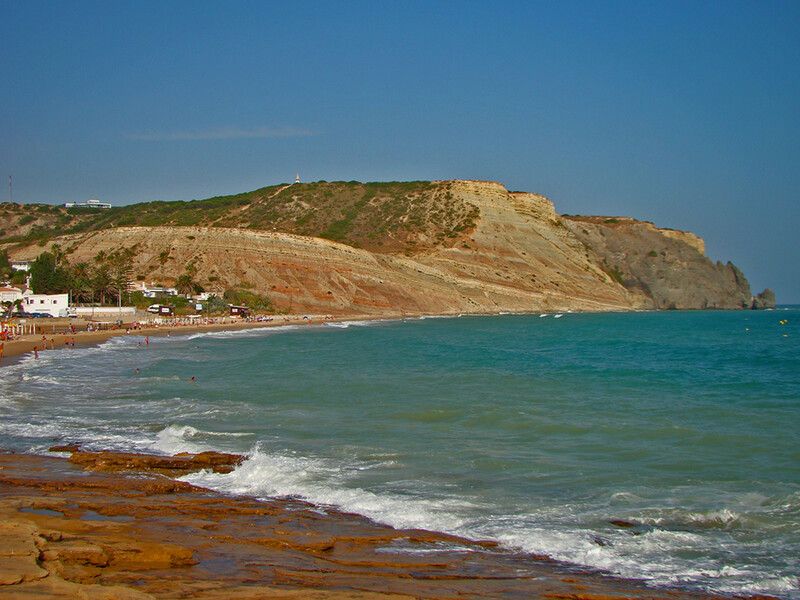 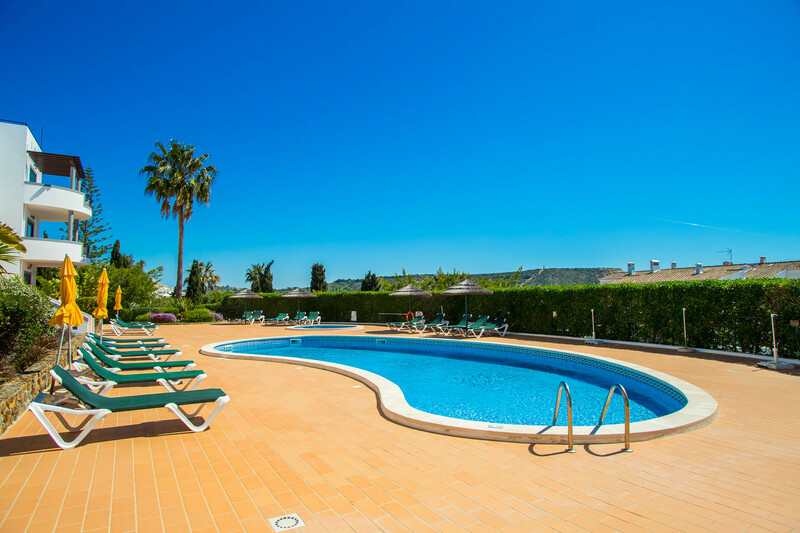 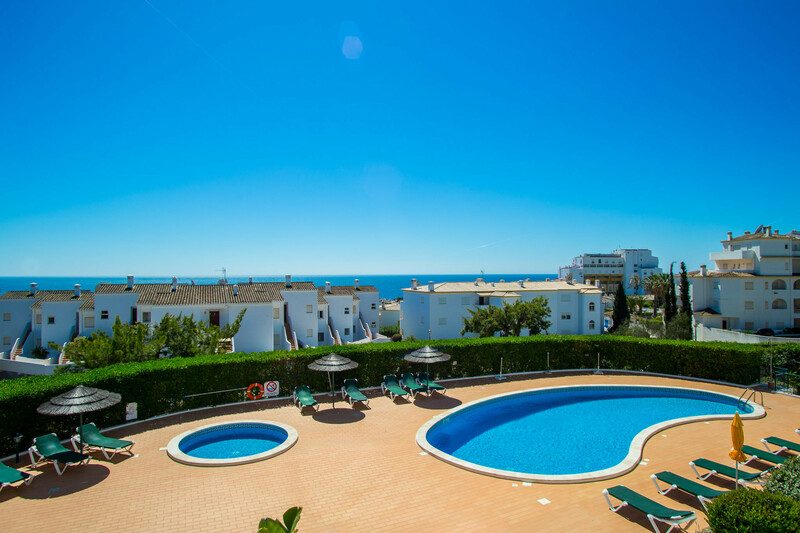 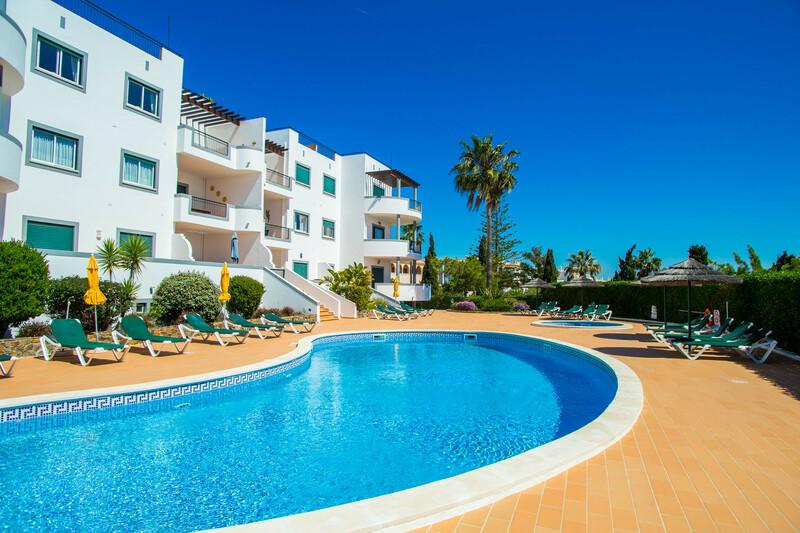 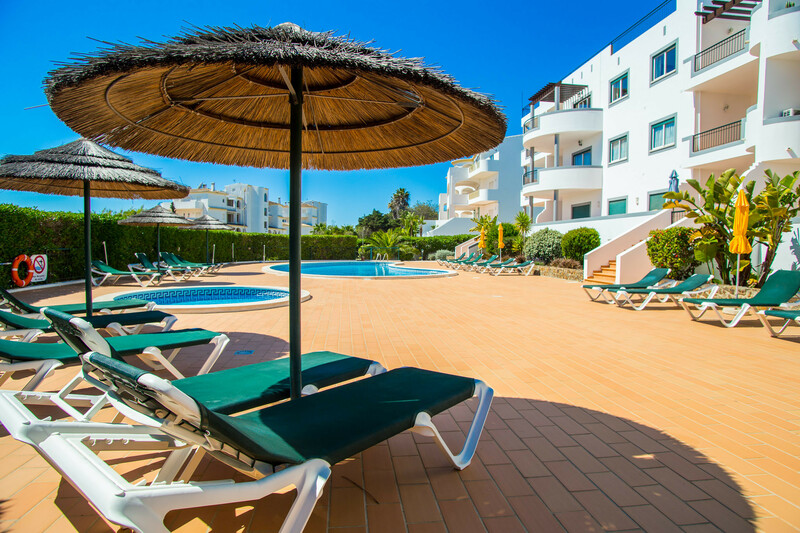 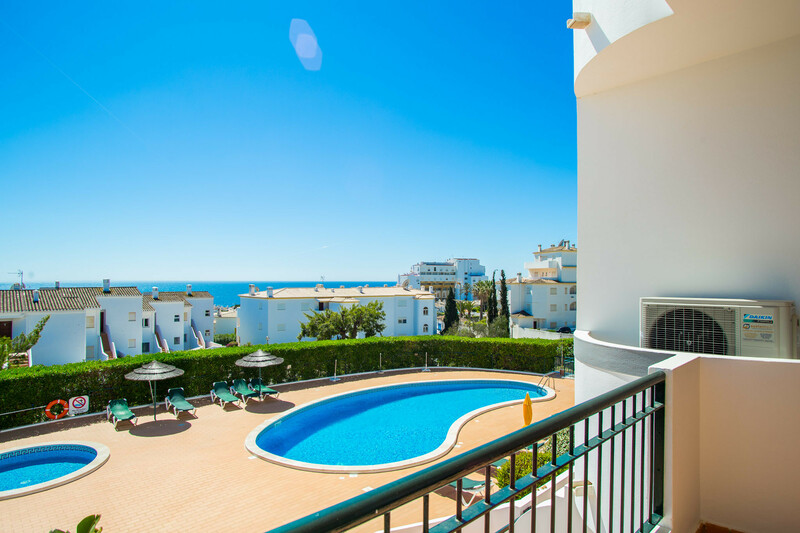 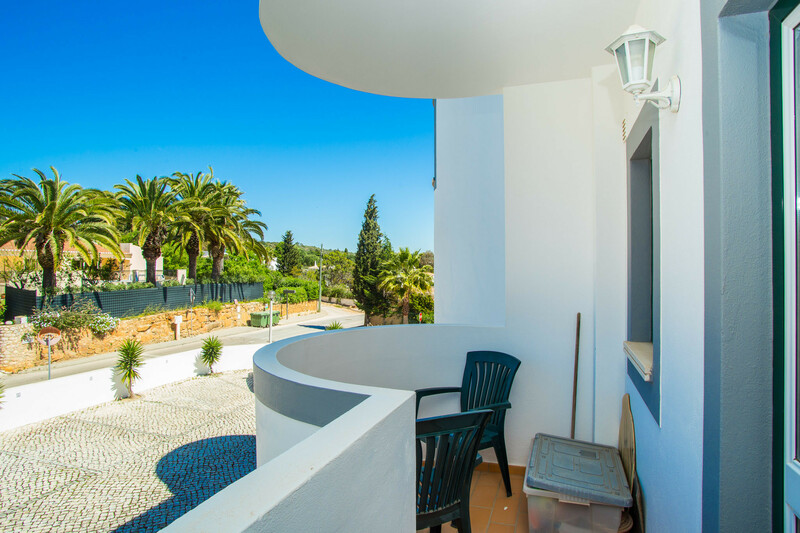 Cristaluz is a 2-bedroom apartment, 2-bathroom apartment in the town centre with sea views and use of a communal swimming pool. 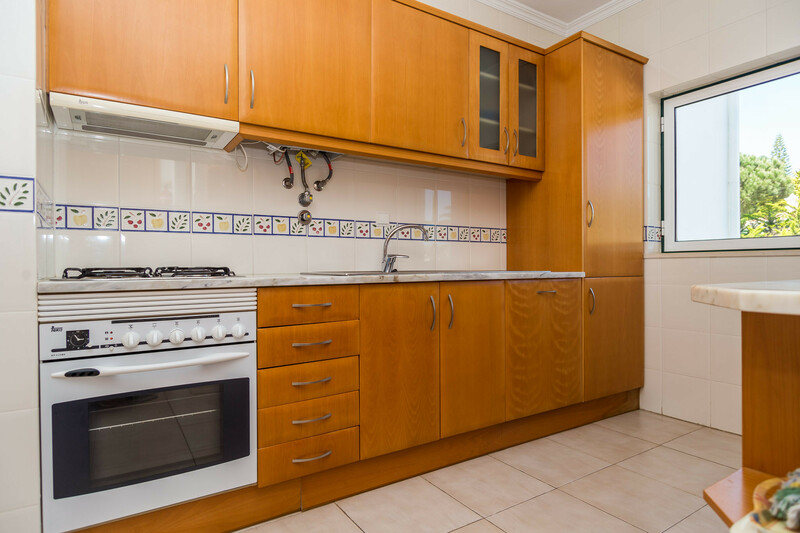 It sleeps 4 people and has an area of 80m². 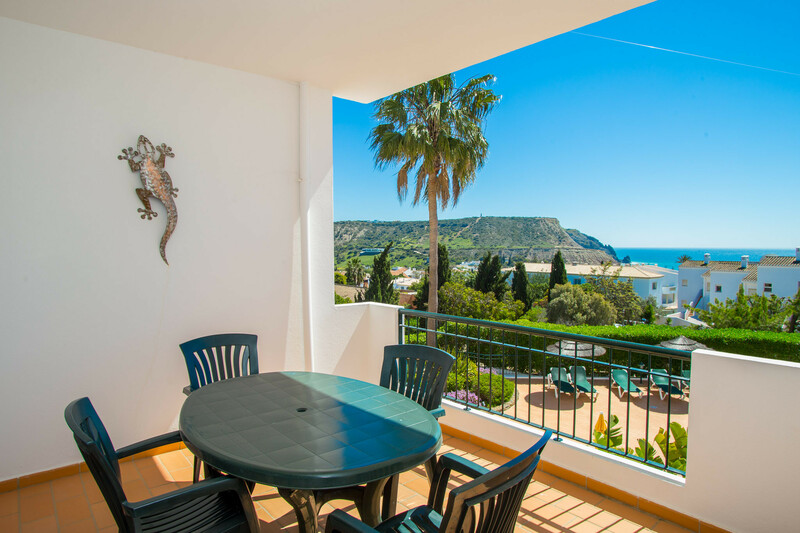 The apartment consists of an open-plan living/dining area with patio doors opening onto a spacious south-facing terrace with sea views. 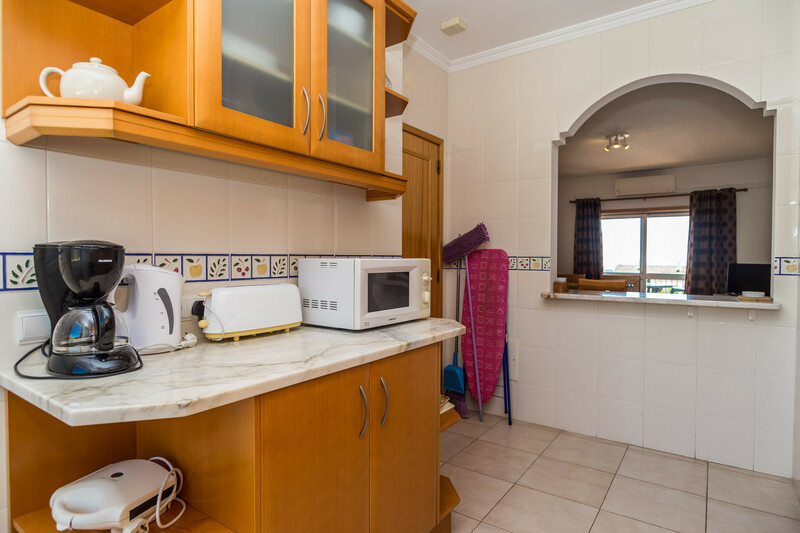 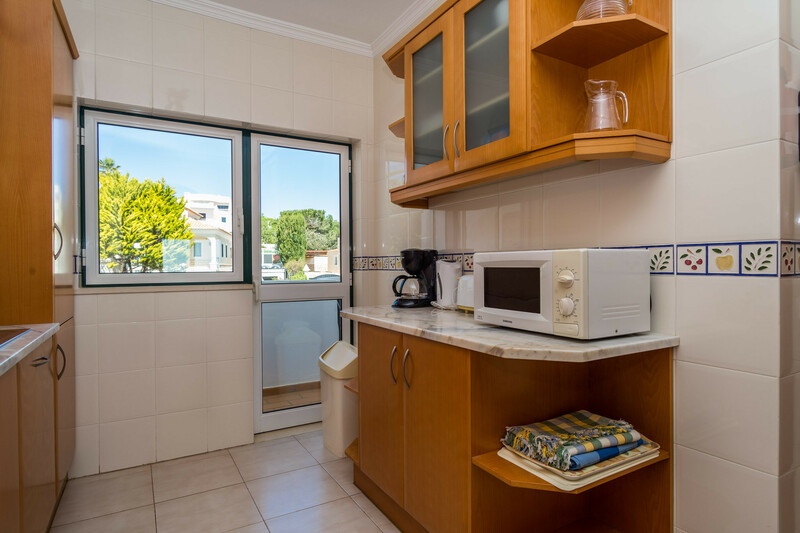 The kitchen is fully fitted with granite work tops and includes a dishwasher, microwave, toaster and has a door opening onto a north-facing balcony, which also houses the washing machine. 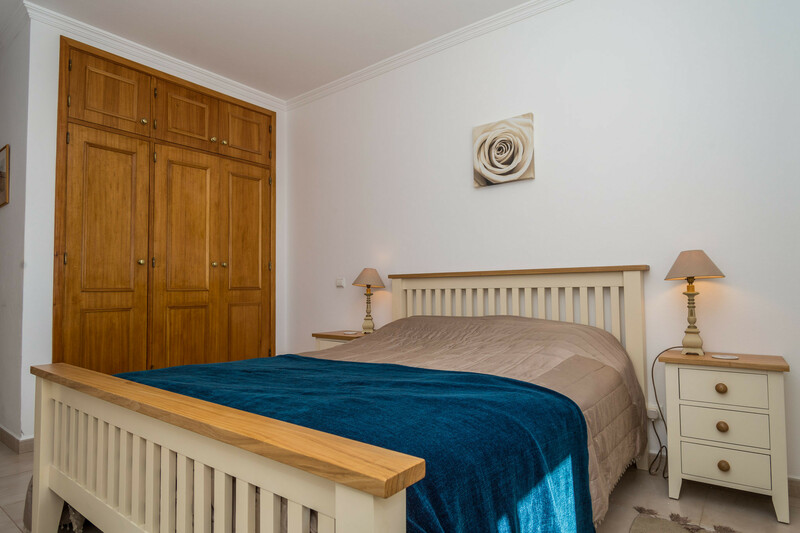 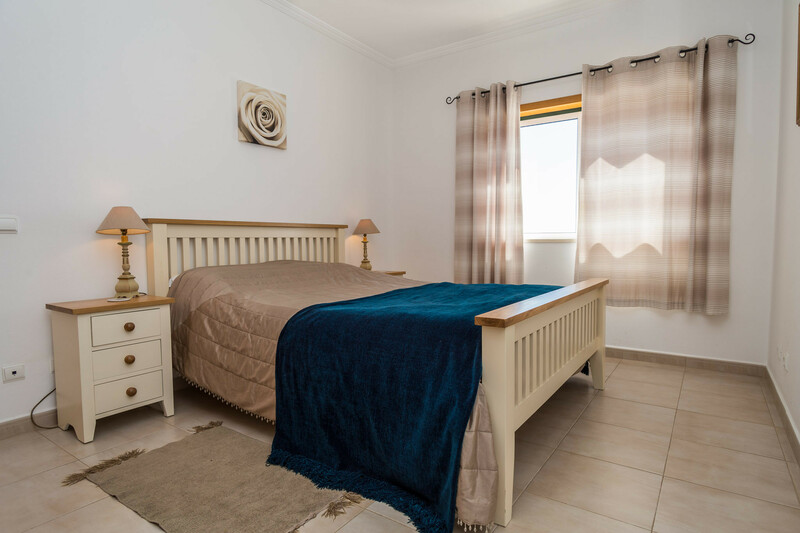 The master bedroom is a double room and has sea views and a bathroom en suite. 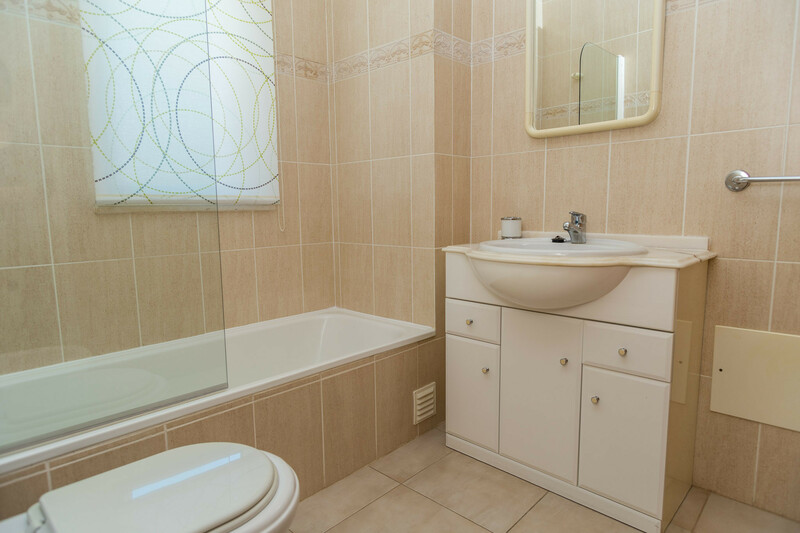 There is a second double bedroom and another bathroom. 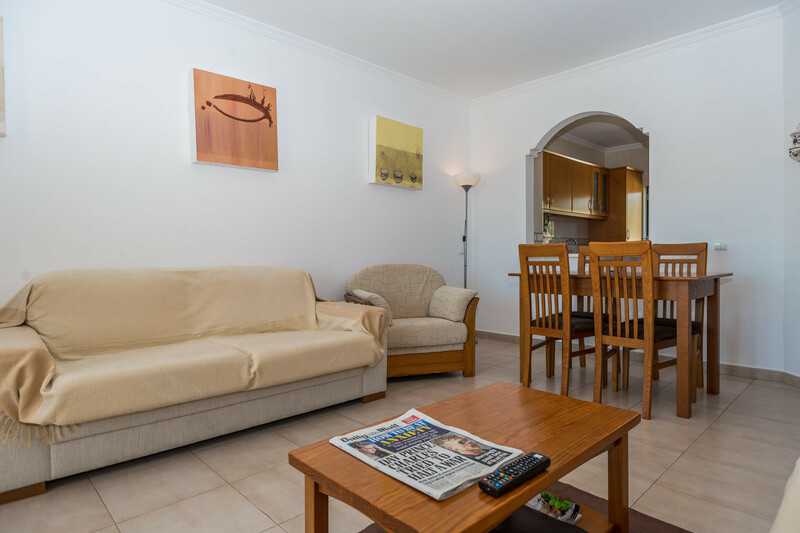 The apartment has WiFi, air conditioning, satellite television with British channels and there is allocated parking. 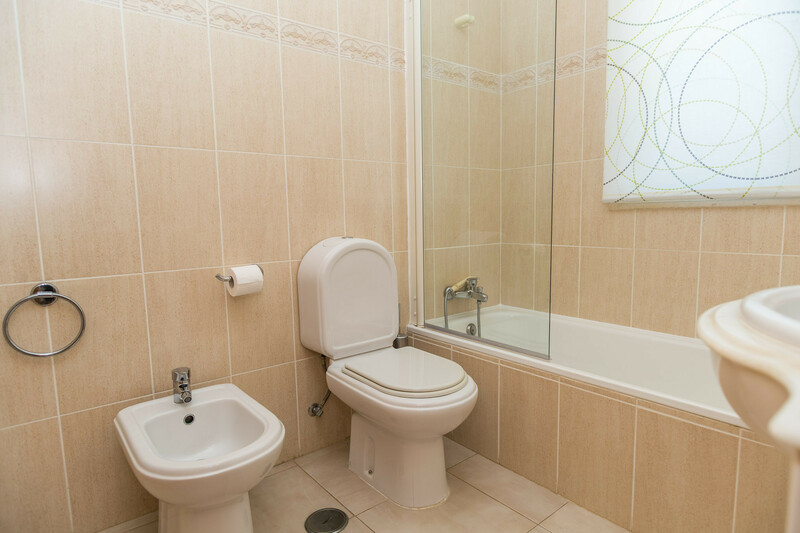 There are two water parks within a 30-minute drive of the apartment and both run a return bus service to Lagos every day. 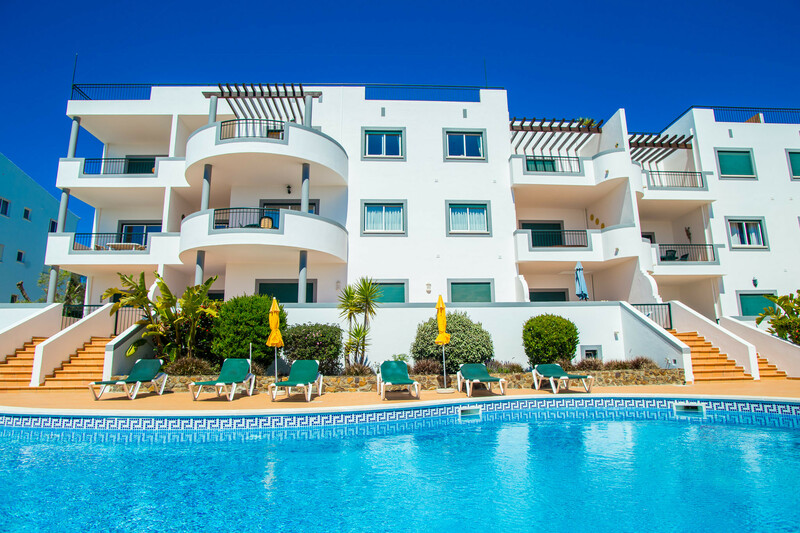 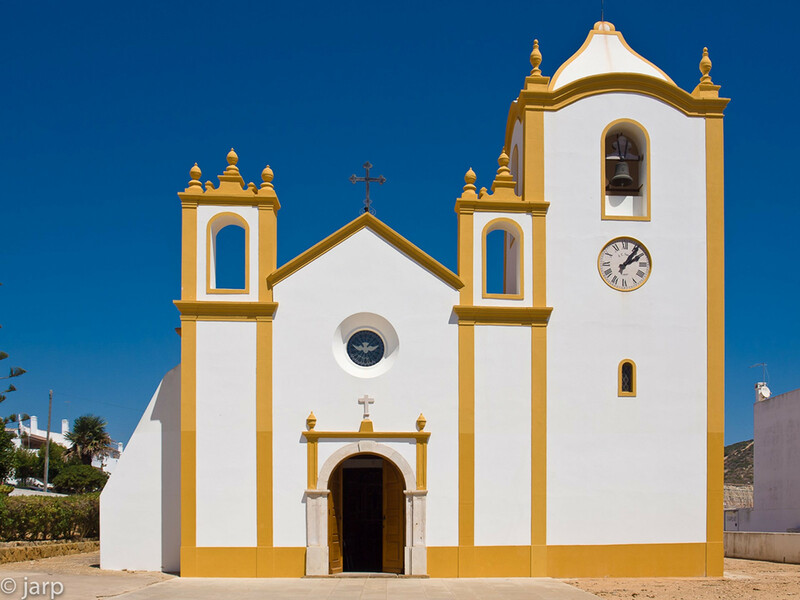 For keen golfers, there are 40 golf courses in the Algarve, of which over 10 can be found within a 30-minute drive of the apartment. 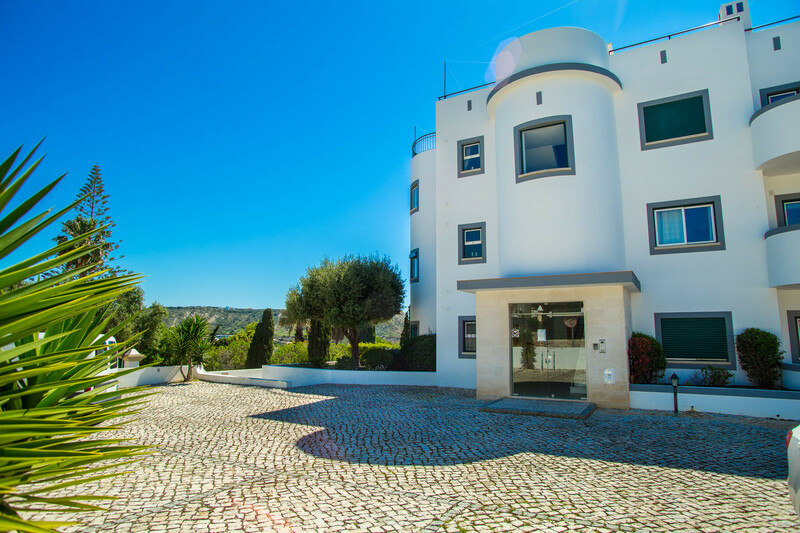 The nearest, Boavista golf course, has 18 holes. 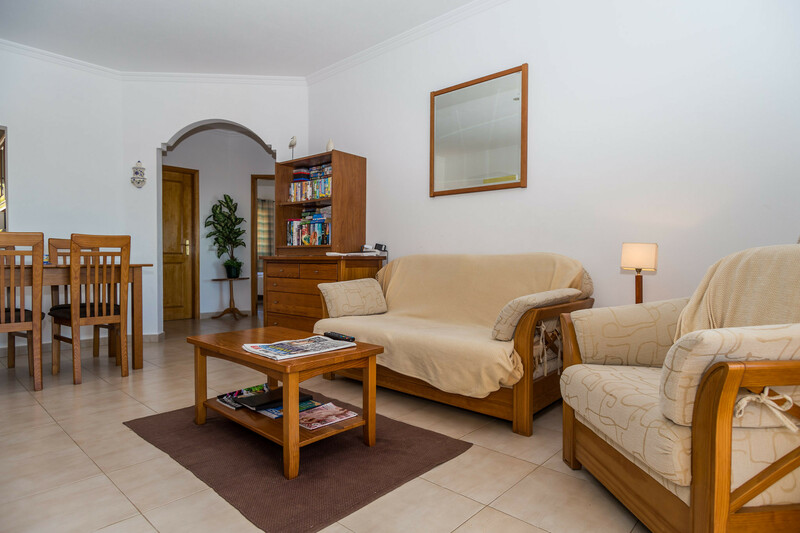 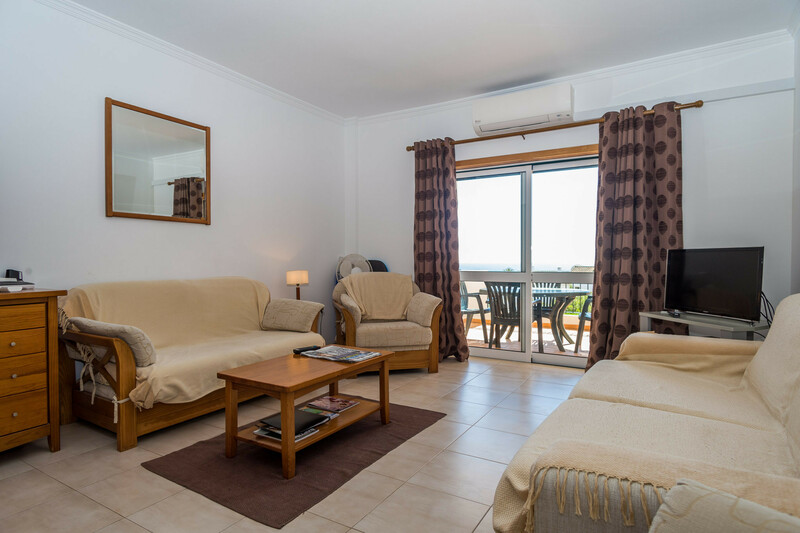 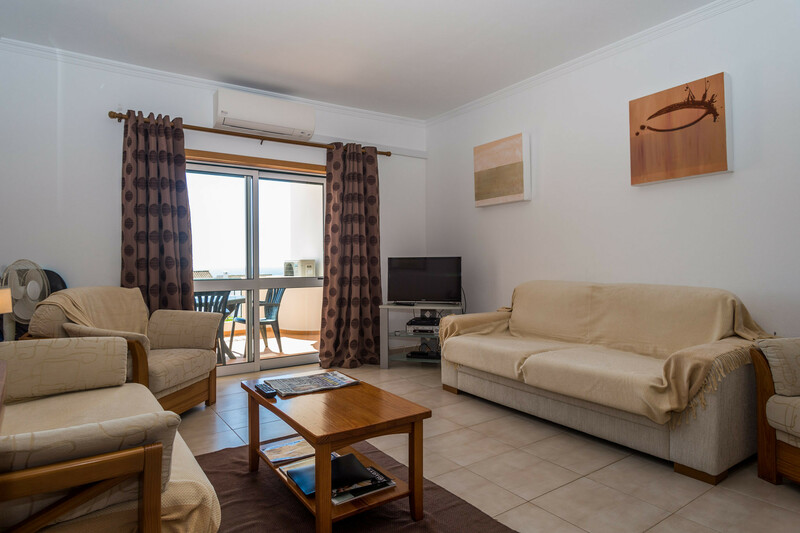 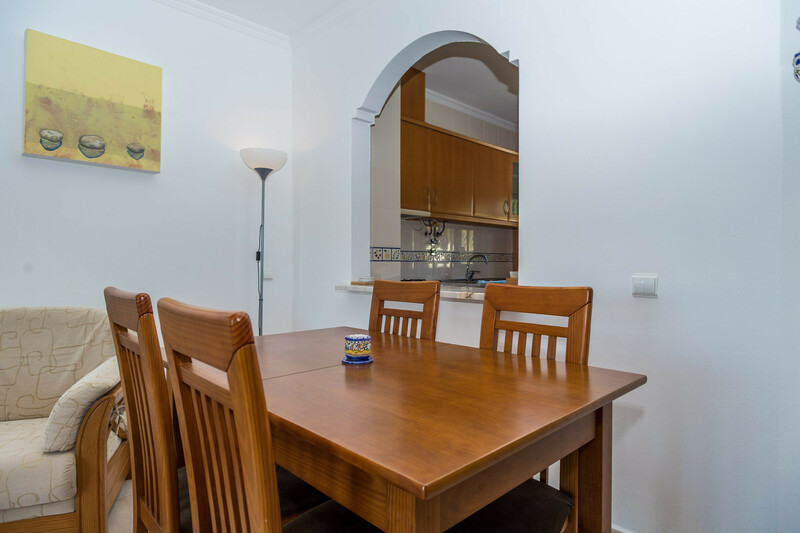 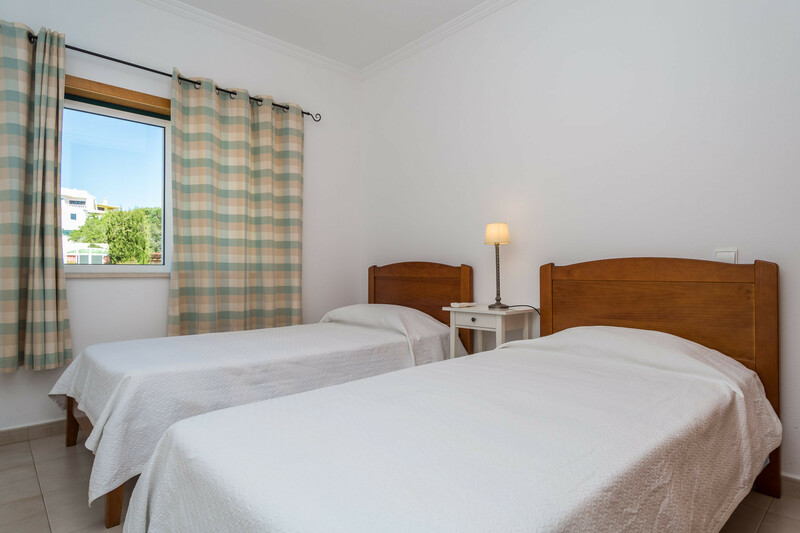 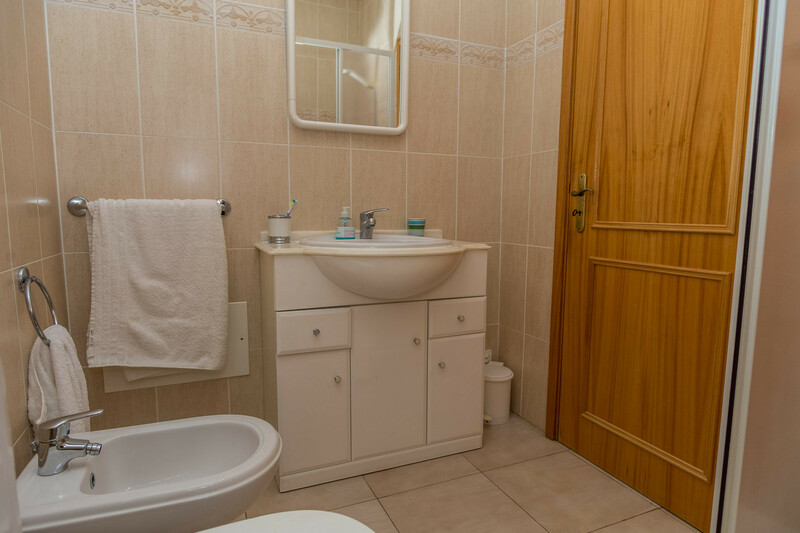 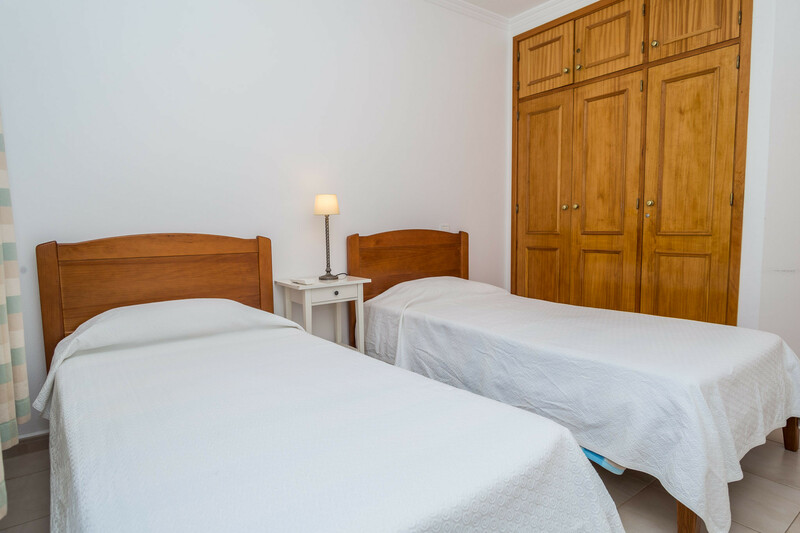 1 TV, TV Satellite (Languages: English), DVD, 1st floor, garden furniture, iron, internet (Wi-Fi), hair dryer, balcony, 80 m² property, 80 m² plot, electric heating, air conditioning throughout the house, communal+children's swimming pool, Open-air parking in the same building.